arguments on March 26 in a free speech lawsuit alleging that President Trump is violating the First Amendment by blocking his critics on Twitter. But while protecting true free speech is important, the president doesn't have any constitutional obligation to listen to criticism—so ultimately, this lawsuit is baseless. account. 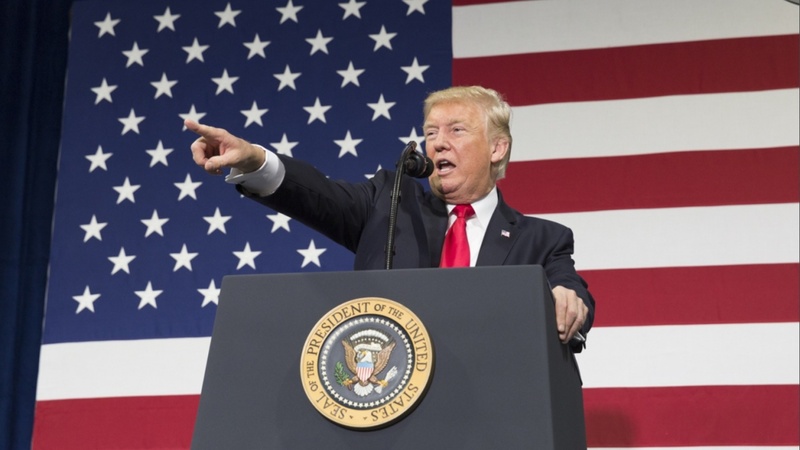 The lawsuit argued that the president has used his Twitter account on numerous occasions to announce official statements, making it a "public forum" in their view. Because the president used his account in an official capacity, he cannot constitutionally bar citizens from viewing or interacting with them, or so they say. This is a misguided argument, but a federal judge bought into it anyway. A 2018 ruling from federal judge Naomi Reice Buchwald found that Trump acted unconstitutionally when he blocked some of his critics on the social media site he spends a lot of time on. Buchwald classified Twitter as a "public forum" in her ruling, and argued the president had no right to block his critics in the online space. ruling against a local government official in Virginia. The 4th Circuit Court of Appeals in Virginia determined that government officials cannot block their constituents on social media. Phyllis J. Randall, chair of the Loudoun County Board of Supervisors, deleted a critical comment from a constituent on her Facebook page and temporarily blocked the man from accessing it. A judge ruled that she ran afoul of the First Amendment by deleting the comment and by preventing access to her Facebook page based on the man's views. Randall's Facebook page and Trump's Twitter account amounted to a digital town hall, therefore they were on weak constitutional footing when they supposedly closed the doors on their critics. This sounds like a reasonable interpretation of the First Amendment, but it's fundamentally flawed. If the court rules in favor of these disgruntled Twitter users then it will set a problematic precedent for how government officials, from the president to a county commissioner, can use social media. For one, there is a major difference between blocking someone on Twitter and deleting a comment on Facebook. Even if Trump blocks someone on Twitter, they are still able to tweet about the president to their heart's content. And deleting a comment on a Facebook page prevents everyone from seeing it, not just the intended target of the critical message. If the president found some way to delete critics' tweets then there would certainly be a First Amendment issue, but preventing someone from engaging with his account isn't violating their freedom of speech. The plaintiffs in the Knight First Amendment Institute lawsuit are still free to tweet their criticism of the president, but they have no constitutional right to make him engage with them or hear them out. Randall very well may have erred by preventing her constituent from participating on her Facebook page, but that's not the same thing as Trump blocking his critics. Even with a block Trump critics are still able to tweet and engage on Twitter, just without their tweeting popping up on the president's screen. One may argue that with a block they can't see his tweets, but that isn't true. If the critics who are blocked just sign out of their accounts then they can go to his account to see his tweets without issue, as Trump's Twitter page is not privacy protected. If the court rules in favor of these disgruntled Twitter users then it will set a problematic precedent for how government officials, from the president to a county commissioner, can use social media. While the First Amendment guarantees the right to speak freely without fear of government censorship, it does not hold that anyone, even the government, must listen. A government official isn't obligated to hold a town hall to listen to the concerns of constituents, even if it's in the best interest of transparency and the public trust. The government should be more open and responsive to the public's concerns. That doesn't mean people should have unfettered access to a government officials' ear, even if it belongs to the president.